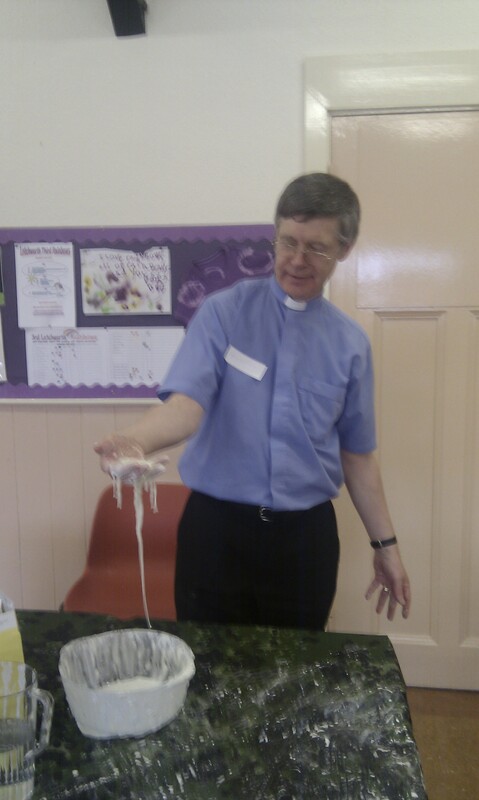 Messy Church @ Norton had it’s 1st birthday!! We celebrated this by making a collage of what we looked at during the year in the Bible. We had a birthday cake and our Minister Andrew blew out the candle! We also looked at the Old Testament passage of David and Goliath. We made a big version of Golliath, praticed our throwing skills throwing bean bags into holes in a board, make cupcake rocks with chocolate frosting and decorations, made swords, sheep (David was a shepherd), made rocks from clay and decorated it with sequins. In the celebration time, we looked at how God helps us to do the impossiable and it matters not how young you are or your size, as God helps all of us to do His work. We also had three volunteers who showed us that you can take Golliath down, as they knocked down a big box version of Goliath with bean bags. All who joined in had a great time! 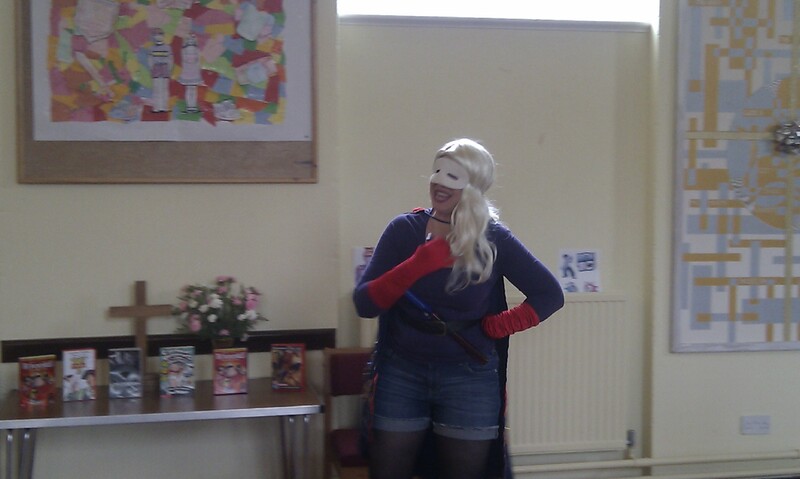 The Theme of Super Heros of the Bible is still in our learning as we looked at Queen Esther and how she saved her people from being killed. We learned that God has plans for us and that we do not know what they are until the time comes or after we have aready done what we were born to do. We looked at the Armour of God and learned that we do not need to be Super Heros to have strength and power we only need God and he provides what we need and that Jesus is the BEST Super Hero of them all! Today we looked at all that God has made and he said it was good! We learned how God took nothing and made it into something beautiful. We looked at all the small and large creatures, the land, the plants, the sea and sea creatures, the sun, moon and stars. We looked at God making us and he said it was good! 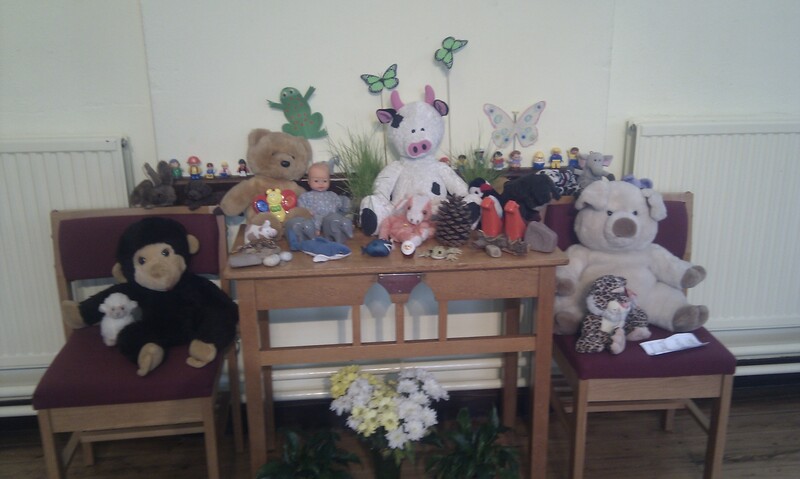 The theme was Jesus is new life and we looked at the hungry catapillar and how we are like a catapillar needing food and water to live. Food being the word of God and the water of life being Jesus. 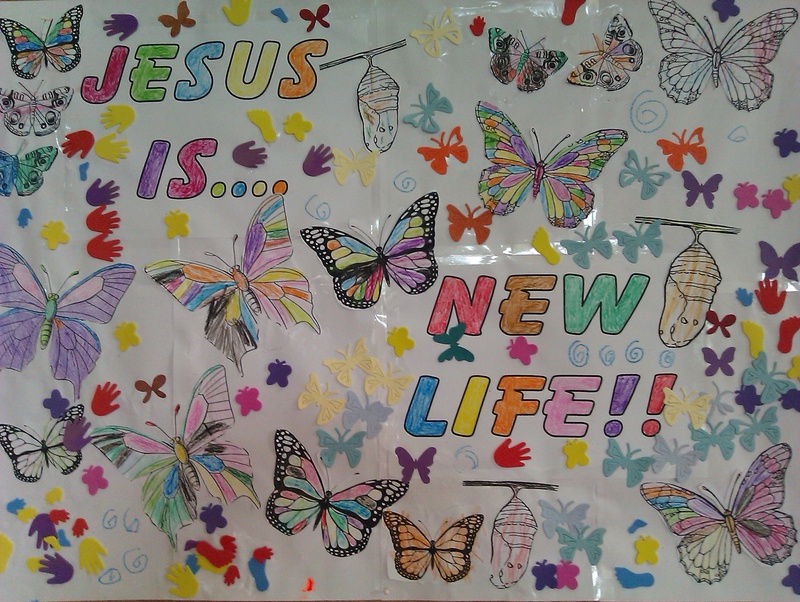 When we live as Jesus teaches us we turn into something new- like when a catapillar changes into a beautiful butterfly! We learned that even as changed butterflies we still need the food and water that God provides for us in His Son Jesus Christ. 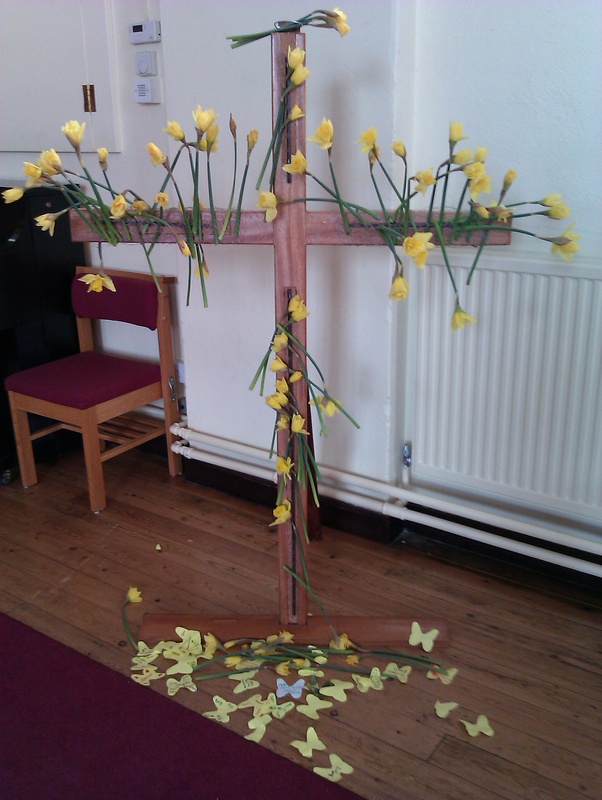 During celebration time we placed flowers on the cross and then placed our butterfly prayers at the foot of the cross giving them to Jesus as our intercessor.